Pictures are representative of actual items. 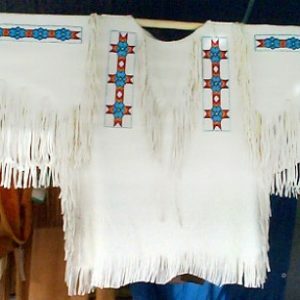 The pictures seen here are of past works, but the item may be recreated in your size & to your specifications. Additional decorations are available upon request for additional fees. 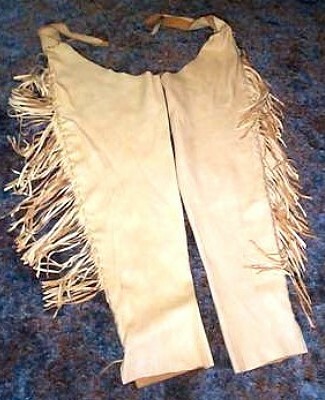 This is basic pair of plain buckskin leggings. 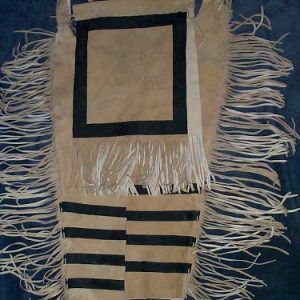 These are intended to be worn usuaully with a breech cloth which is sold separately. 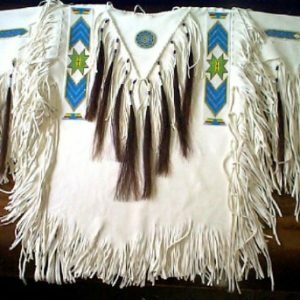 We can custom make a pair to fit you too. 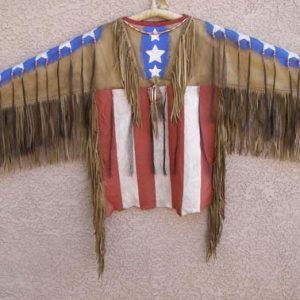 Your measurements will be needed to customize this shirt for you. After your purchase, please have your measurements in inches handy. We will call you for fitting information.